The UK government has signed up to a pledge to end HIV transmissions by 2030. 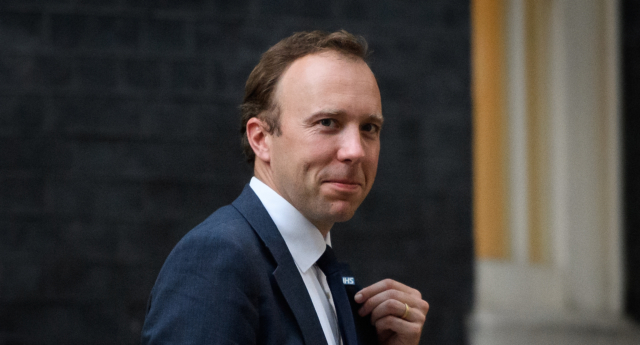 Health Secretary Matt Hancock made the commitment ahead of a summit at the AIDSfree Cities Global Forum on Wednesday (January 30). The UK has already beaten the global 2020 targets for HIV prevention, with just 4,363 new cases diagnosed in 2017. Under the pledge, the aim is to reduce new HIV diagnoses to zero by 2030. As part of the commitment, the government will invest new funding in prevention efforts, specifically targeting gay and bisexual men, persons who inject drugs and African and minority ethnic (BAME) groups. £600,000 in funding will go to 13 local innovative initiatives to help reduce the risk of people contracting or passing on HIV, reduce stigma, and reach under-served populations. International Development Secretary Penny Mordaunt has also pledged government funding to match up to £2 million to tackle the issue globally. Hancock will say: “HIV and AIDS are challenges that we must rise to. The injustice, the unfairness, and the sadness they have brought and bring to this day must be tackled by us all. Hancock adds: “I feel proud that Britain has made such progress. But when I think about what’s going on elsewhere, I feel anger that our progress is not yet reflected around the world. “We’re all part of the global solution to this global challenge. What we do locally in London, in Delhi, In Nairobi, in Maputo, in Kiev, in Atlanta, in other cities, has an impact globally. “So today we’re setting a new goal: eradicating HIV transmission in England by 2030. No new infections within the next decade. The commitment was welcomed by HIV campaigners, who also called for the roll-out HIV prevention method Pre-Exposure Prophylaxis (PrEP), which is currently only available in England as part of a limited trial. Clinicians recently backed calls for the trial to double in size after places for gay and bisexual men filled up at many trial sites, leaving them without access to PrEP. Despite getting the backing of NHS England, the decision to expand the trial has been stalled. He added: “For England to reach zero new HIV transmissions, the Department for Health & Social Care, Public Health England, alongside local authorities, must now urgently work in collaboration to address some of the most pressing HIV issues.